Somedays I am just in the mood to bake. These wonderful muffins were a result of that day. Actually I made 4 different muffins on that particular baking day. These were the best though. Blueberry picking has just wrapped up around these parts but that doesn't mean we are out of blueberries. Oh no. I still have a bunch in the fridge and even more in the freezer. 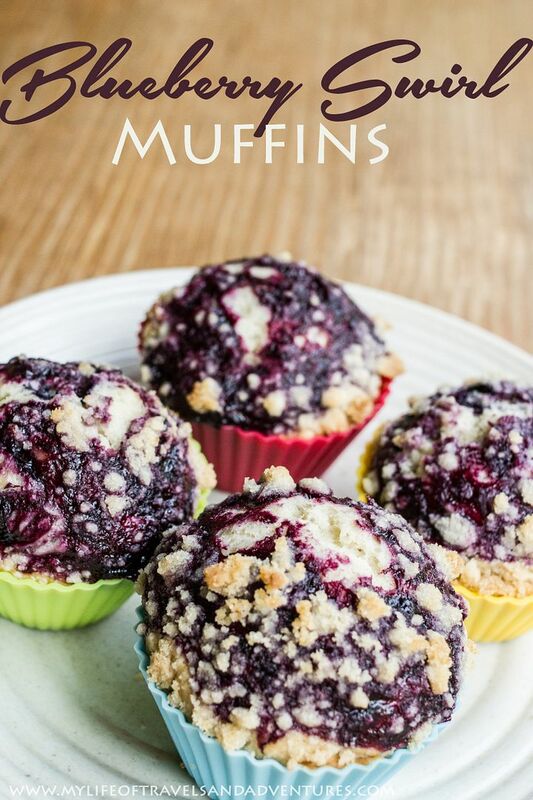 These muffins only take 3 cups of blueberries which are mixed into the batter and used to make the swirls on top, but are full of flavor and yumminess. 1. 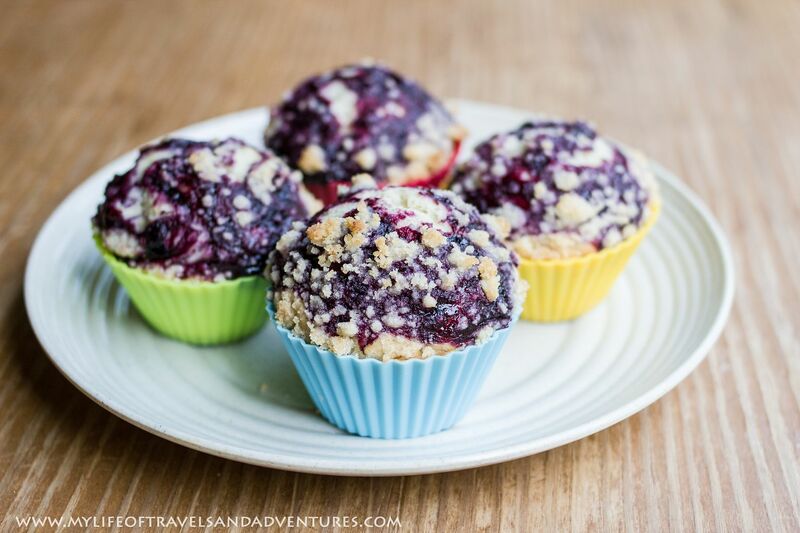 In a small saucepan, cook the blueberries and sugar for 5 minutes. Stirring and mashing the blueberries throughout. Let cool. 2. Mix the sugar, brown sugar and flour together. Combine with the melted butter. Set aside. 3. Preheat the oven to 425. Combine the butter, oil, yogurt, milk and vanilla in a large bowl. 4. Add in the eggs and stir well. 5. Stir in the sugar, baking powder and flour. 6. Add the blueberries and stir only until combined. 7. Fill muffin cups 3/4 full. 8. Top with the Blueberry Swirl mixture. Swirl into the muffin with a toothpick. 9. 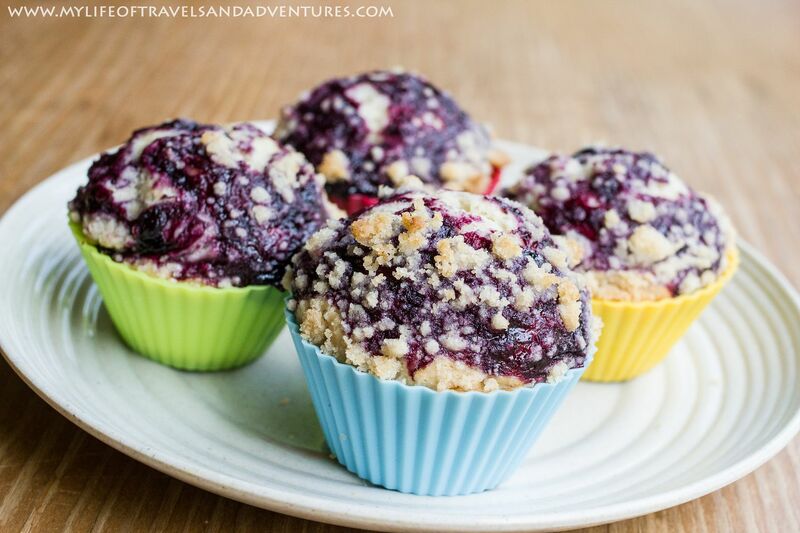 Sprinkle the Streusel Topping on each. 10. Bake for 17-20 minutes. Once cooled, I seal them in ziplock bag and freeze. These look amazing! 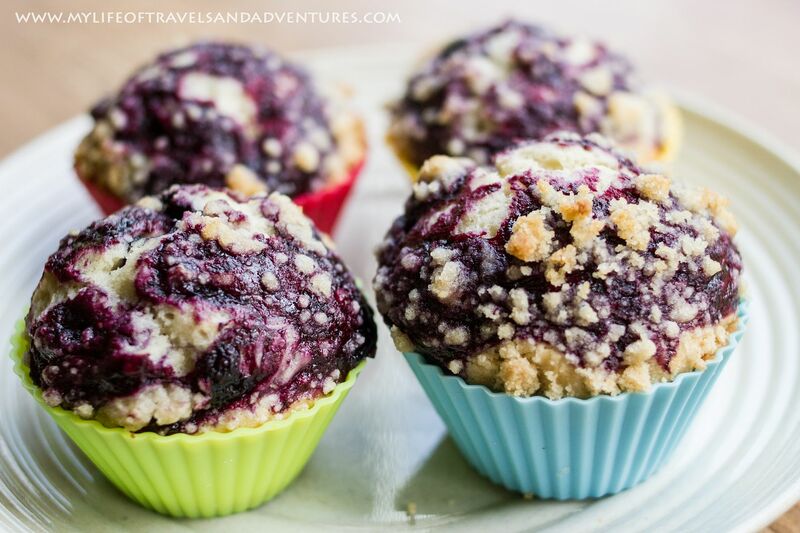 I love blueberry muffins and have made so many different versions of them, I love the blueberry swirl AND streusel topping in these! They look so delicious! I need to make some of these! They look scrumptious! My family loves the flavor of blueberries, but not all the chunks of blueberries. Sounds like by cooking them down and smashing them prior to putting in the batter that would solve the so-called chunky blueberry problem. Thanks so much for sharing at my Creative Ways Link Party! Have a great week. These look great! I would love it if you joined and contribute your awesome posts at my link party at City of Creative Dreams, starts on Fridays :D Hope to see you there at City of Creative Dreams Link Party.